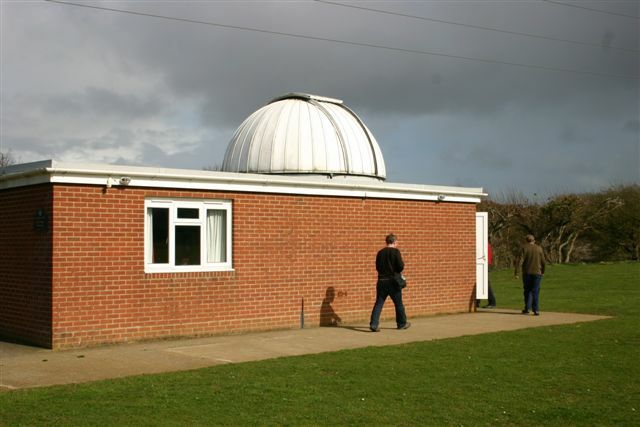 Vectis Astronomical Society (VAS) is based in Newchurch on the Isle of Wight which is just off the South coast of the UK. The Society was founded in 1976 and our Observatory was completed and opened in 1998. The Society is a friendly group of 70 or so amateur astronomers. You can find us (and our Observatory) in Watery Lane, Newchurch, very close to Amazon World. There is a map and further location information here. Our Observatory is open to all for stargazing every Thursday evening from 20.00 hrs. We hold monthly public meetings in the Newchurch Pavilion (next to the Observatory) with guest speakers giving presentations on a range of astronomy related subjects. Our sister website www.darkwightskies.com is home to the Dark Wight Skies Initiative and our quest to achieve Dark Sky Status for the Island. The observatory is open to visitors every Thursday evening from 20.00hrs. As VAS is a registered charity, we do not charge a fixed admission fee but you are very welcome to make a donation. Are just interested to see what we do, pay us a visit. The Observatory is open to visitors every Thursday evening from 20.00 hrs. Please contact us beforehand if your group visit contains more than 6 people. Can make arrangements for up to two groups in one evening.